Karl is a retired engineer, financial officer, air charter manager, and computer consultant. He started on his aviation career in 1954 and likes to explain that back then the Private Pilots Written Exam was 50 True/False questions. 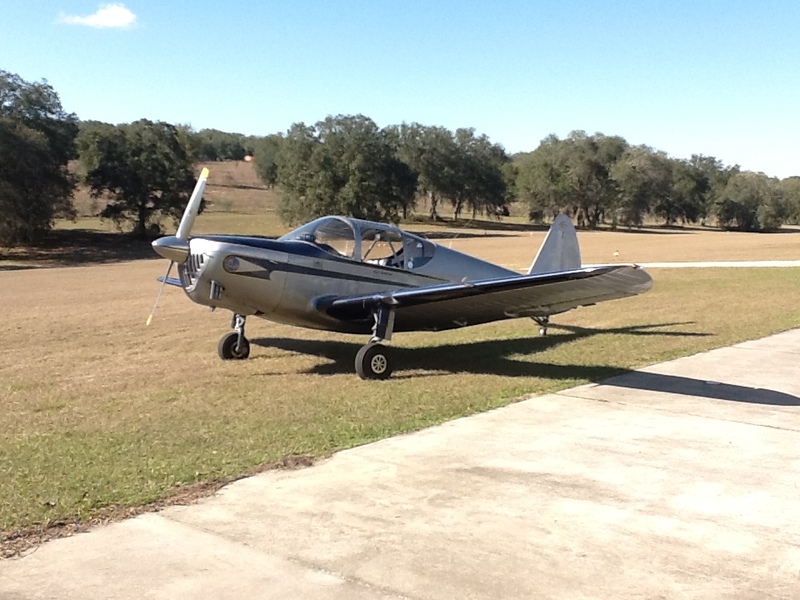 Karl has owned a 1964 Mooney Statesman, 1979 Cessna Skyhawk, and more recently a 1948 Temco-Globe Swift. He holds FAA Commercial, Single Engine Land, Single Engine Sea, Multi Engine Land, and Glider certificates collected in 3,000+ flying. His Instrument Flight Instructor rating is lapsed. Karl is a member of the United Flying Octogenarians. 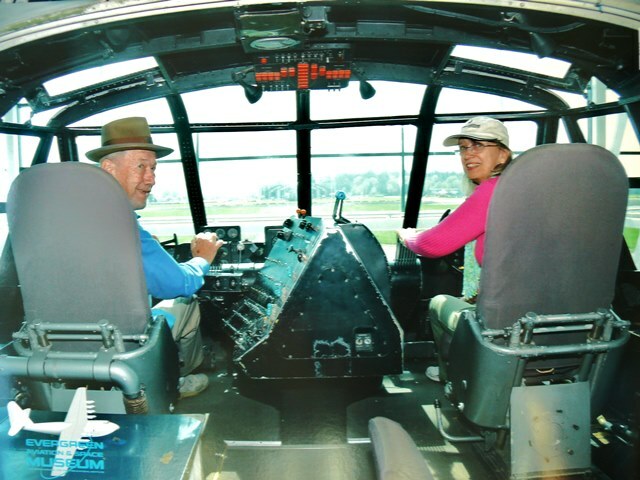 He loves to tell hangar flying stories of how he has towed advertising banners at the New Jersey shore; flown night time charter around the Northeast; served as his son’s flight instructor; landed one night at Chicago O’Hare before it was commissioned; crossed the US at night following the old mountain top beacons before VORs were available; and more recently towed gliders for the Tampa Bay Soaring Society. Karl has piloted 47 different models of aircraft; 32 single and 15 multi-engine. 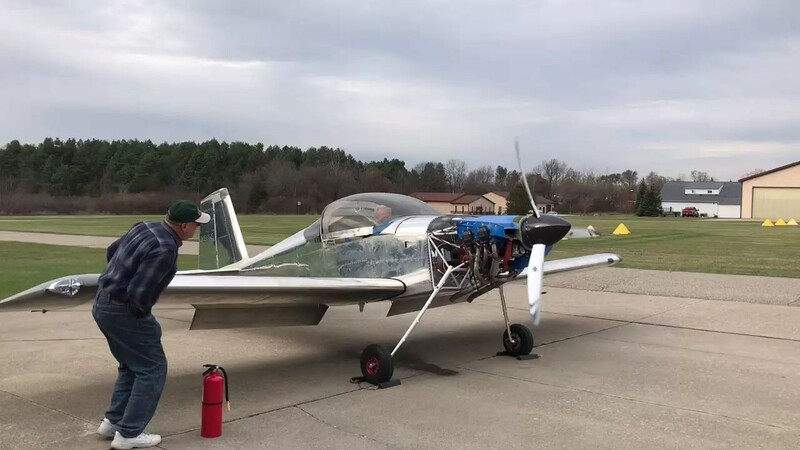 Currently he and his wife Dolly are completing a VANS RV7. They expect to have it flying in the spring of 2018. Dolly, who also is a member of the Experimental Aircraft Association, is enthusiastic about aviation and knitting. Click here to visit her knitting pages. 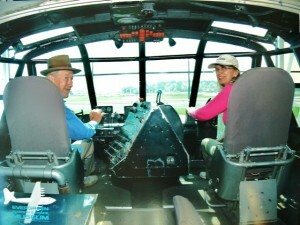 Photo: The cockpit of Howard Hughes “Spruce Goose” in McMinnville, Oregon. During the 2011-2013 summers Dolly and son Len with help from Karl, completed a studs out remodeling of an apartment that is to be a summer home in Michigan. In 2014, contemplating how bored he’d be without some project, Karl came to the conclusion that doing an aircraft build is age independent. would like the black and white stripe sock that comes to the ankle, hopefully that’s possible. My daughter loves your socks! Sorry, but we don’t know what “black and white stripe sock” you are referencing. Dolly has not have any such on her Revelry pages.